Soltronic provides a versatile means of controlling shading louvres or panels which either rotate or slide. It provides exact positioning of solar shading louvres and folding or sliding shutter systems. Using sun tracking routines, the control unit calculates the position of the sun for any particular time or place and is programmed with data relating to the geometry of the louvre systems. It can use data from sensors to modify its routines. Soltronic controls local motor control units which then have the task of moving the actuators attached to the louvres. The motor control units are supplied pre-wired in accordance with the number and configuration of the actuators for the specific project. 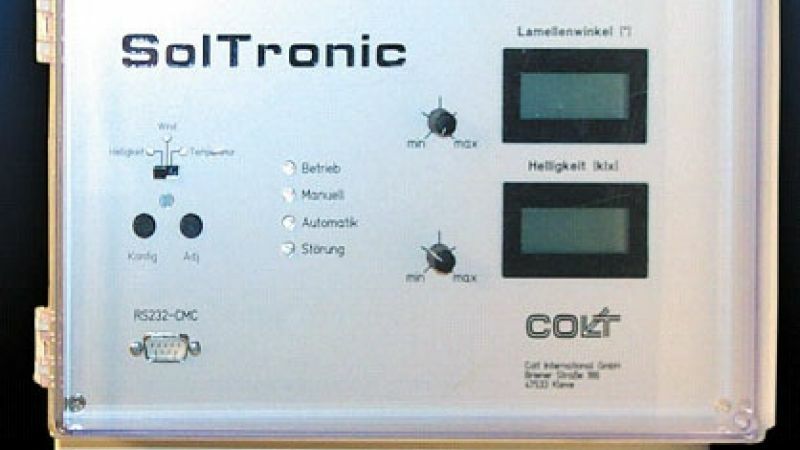 Each local motor control unit is connected to Soltronic by a bus cable system. A hand switch can be fitted between each actuator and motor control unit for individual control of the actuators. 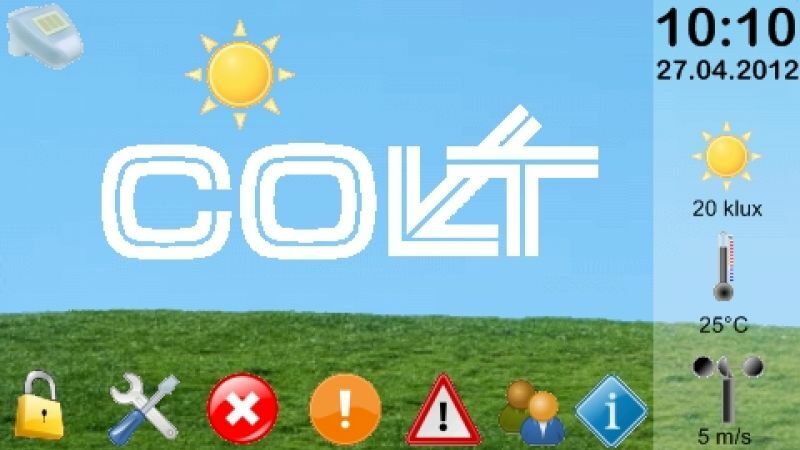 Design service - Colt provides a pre-order design service. 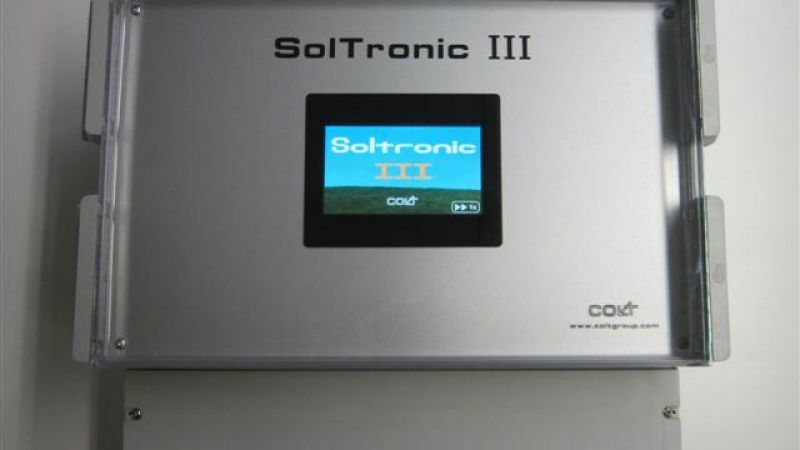 Please contact Colt for more information relating to the application, specification, installation or servicing of Soltronic.